Paris is the ideal city for enjoying an apartment with a terrace. 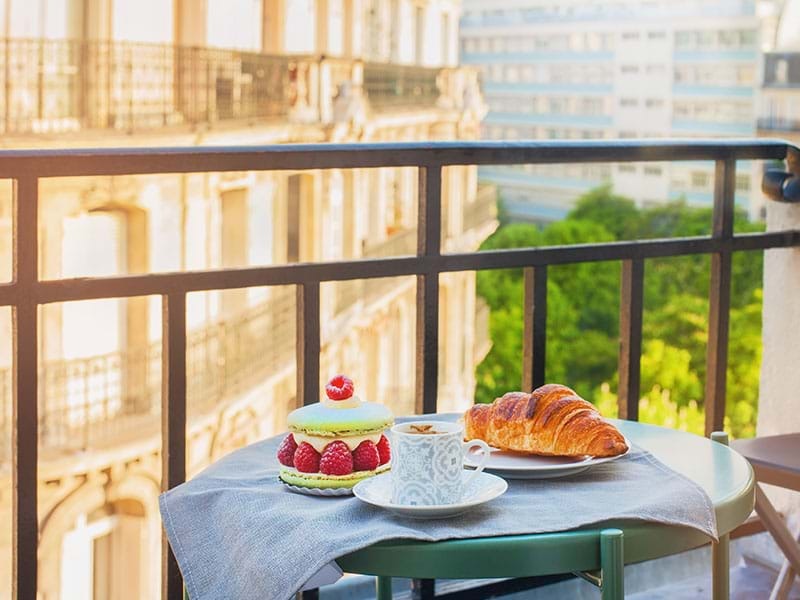 A terrace overlooking the Sacré Coeur, the St Martin canal, the quiet area of Batignolles or the Champs-Elysees ... choose from our listings of one or more bedroom apartments in Paris that feature a terrace. Every apartment is checked by our experts, allowing us to guarantee the quality of your rental. We have a wide selection of apartments with terraces in Paris. In order to ensure they meet your requirements, all accommodation listed on our website is checked by our experts (for its condition, rooms, equipment, etc.). To start a search, select the dates of your stay and the results page will list all apartments with terraces available for those dates. Do you want accommodation near the Louvre Museum, Saint-Germain-des-Prés or the Parc des Buttes-Chaumont? If so, we recommend that you specify the district or attraction you are interested in. This narrows down your search as only listings for apartments in these areas will be displayed on the results page. If you want to see listings for apartments with a terrace, select 'balcony or terrace' at this point of your search. You can also filter for the number of rooms: studio, one room, two rooms … to view accommodation that exactly meets your needs. As there is often a strong demand for similar types of accommodation we suggest that you send a reservation request for three properties. This optimizes your chances of securing an apartment with a terrace.